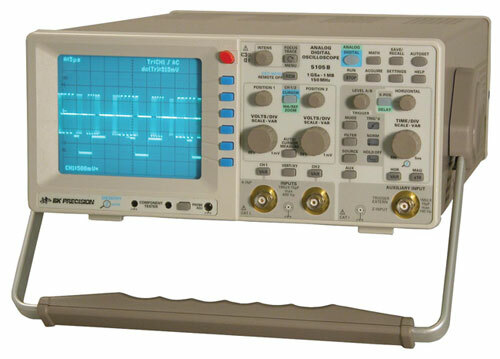 The model 5105B is a 150 MHz (1GS/s) Analog/Digital Storage Oscilloscope (DSO). It is a high performance 150MHz analog oscilloscope with the capability to digitize and store waveforms with its 1GS/s A/D Converters. After the digital acquisition the data can be manipulated and displayed for examination. Unlike other "DSOs" on the market the 5105B is an Analog/Digital model that is not limited by the shortcomings of pure Digital Storage Oscilloscopes.